Pinot Grigio reigns supreme in Friuli-Venezia Giulia. Luana Pintar, Mariano Pintar, Walter Pintar, Denis Pintar, Loredana Pintar and Noemi standing on the porch of the winery's cellar. Like the stylish “boot” that it is, Italy has long been in the vanguard of world wine production, with a storied history going back, no surprise, to ancient Rome. While red wines have dominated most of Italy’s top vineyards, a notable exception lies at the top of the boot, in or near the foothills of the Alps. The eastern part of Italy’s coolest region - closest to the borders with Austria and Slovenia - is known as Friuli-Venezia Giulia. It is a crossroads of people, cultures and history, with borders that have shifted back and forth over the centuries. In the 12th century, it was part of the Mediterranean spice route between Byzantium and Venice - throughout the Middle Ages, merchants brought grapevines from Macedonia and Anatolia. Later, it was part of the Hapsburg Empire, bringing French influences and varietals like Cabernet Sauvignon. In the 19th century, the region served as a major Mediterranean port for the Teutonic Austro-Hungarian Empire. Finally, in 1870 with the country’s unification, it became part of modern Italy. White grapes reign here, with names like Friulano, Ribolla Gialla, Pinot Bianco. But, the undisputed king of this region is Italy’s most famous white grape - Pinot Grigio. Pinot Grigios, particularly from the sub-region of Collio Gorizia, are considered the ultimo among Italian white-wine connoisseurs. There are approximately 150 wineries of all sizes in Friuli-Venezia Giulia. 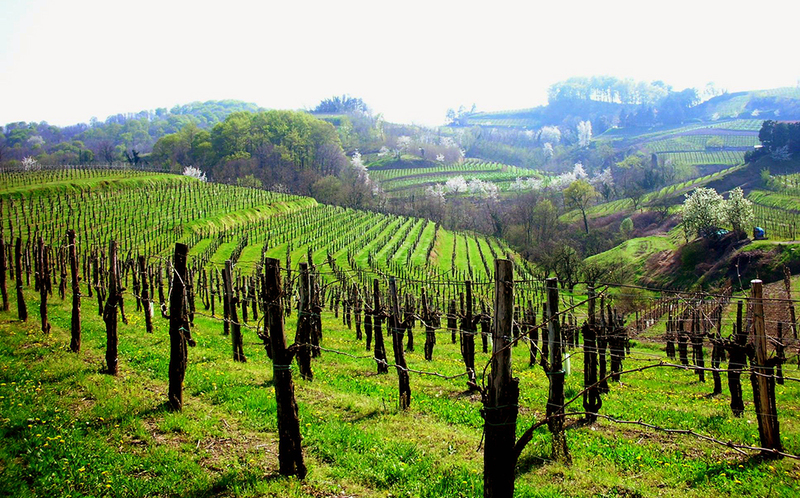 The family-owned Ascevi Luwa is typical of the smaller, artisanal wineries found nestled among gently rolling hills covered with vineyards, cherry trees and acacia woods, very close to the Slovenian border. It is near the town of San Floriano del Collio that Mariano Pintar and his wife Loredana planted their first vineyard on a small plot of land in 1972. This was no easy task as the land, known by the old Italian name “Cerou,” was mostly forest that had to be cleared before the vines could be planted. The early 20th century history of the region was as tumultuous as past centuries. During World War I, these border lands were the scene of many battles and was a major theater of operations during the Great War. More than 50 years later, when Mariano started excavating his land, he found old, unexploded bombs as well as bomb fragments and debris from homes, barns and cars destroyed during the war. Their removal was costly and time consuming. Mariano and Loredana persevered, resulting in what is today some of the most beautiful and highly rated vineyards in the region, covering over 30 hectares in the Collio DOC and Friuli Isonzo zones, traditional areas for fine wines. 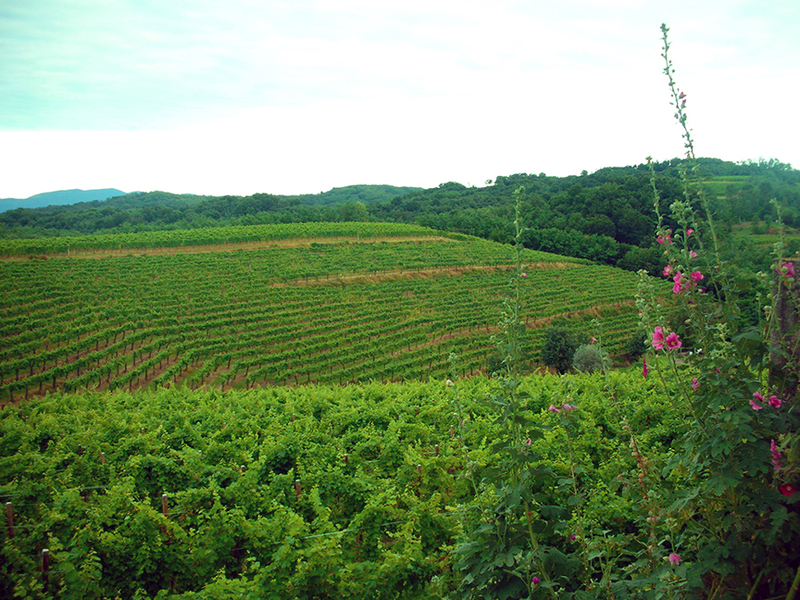 A large percentage of those vineyards produce a very high-quality Pinot Grigio named Cerou to root the wine in this special place. It boasts fruity and flowery flavors that are the true nature of Pinot Grigio – and too often lacking in Pinot Grigios produced in other parts of Italy, and around the world. 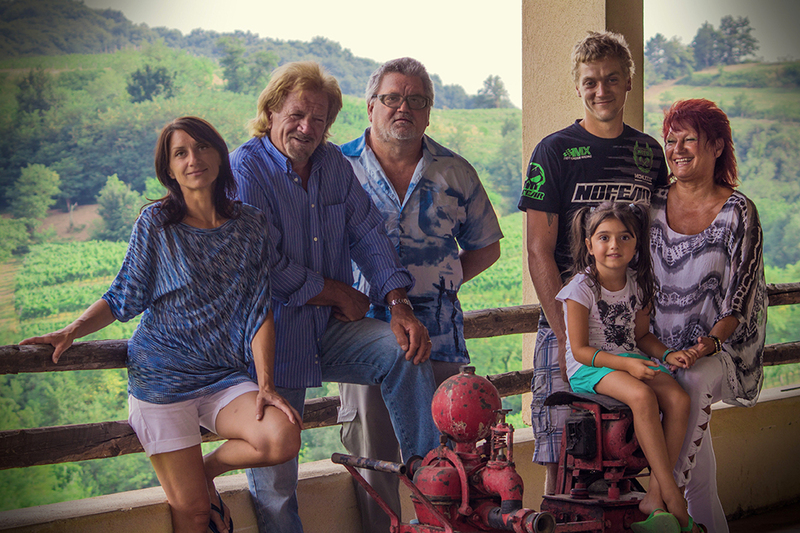 Over the past few years, Luana and Walter, the owners' children, have taken up roles in the business to help Mariano and his wife on the family-run wine estate – in fact, the “Luwa” in the winery’s name is a combination of Luana and Walter’s first names. The region’s history also informs the traditional dishes that the Pintar family has long enjoyed...and that Luana and Walter were raised on. 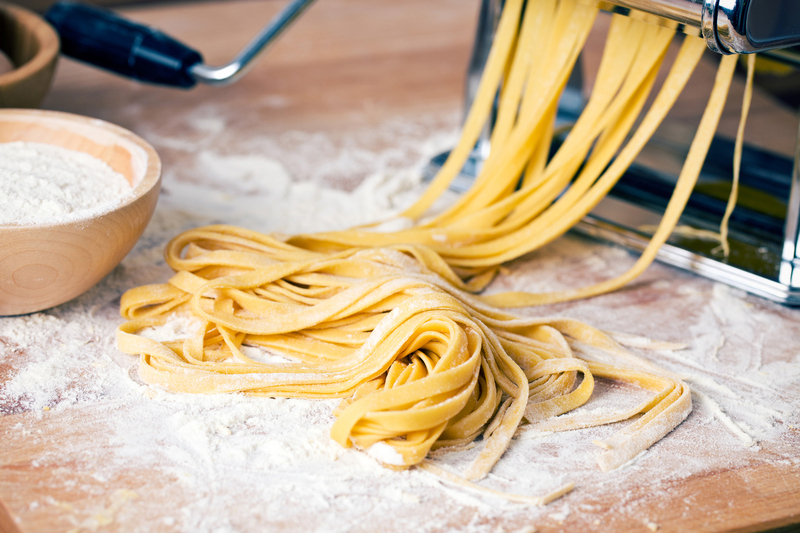 Slavic, Austrian and Hungarian influences are apparent in dishes like fresh pasta with poppy seeds and sugar, a sweet pasta recipe not found anywhere else in Italy that can be made either with potato gnocchi or long, wide tagliatelle noodles, or roasted savoy cabbage and crispy bacon. Featuring hot Hungarian paprika, it’s a dish that wouldn’t look out of place on a table in Budapest, except for the Italian bacon (Pancetta) and fine Northern Italian Ascevi Luwa Cerou Pinot Grigio in the glass next to it. These dishes make for a satisfying supper during a St. Louis October, as the weather turns cooler...and true Pinot Grigio fans know that they can enjoy the king of Italian white wines with such fare, all year long.